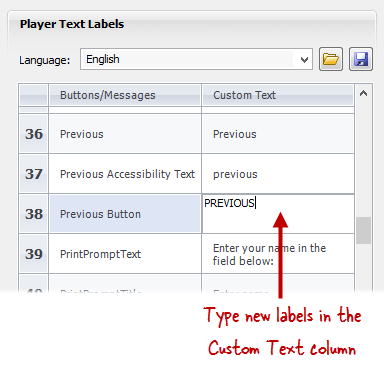 From the Text Labels section of the Player Properties window, click the Savebutton to the right of the Language selector. 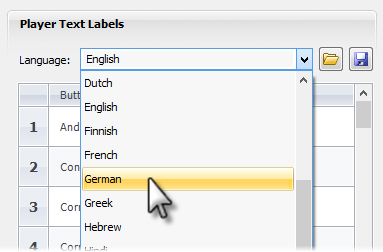 To switch to a completely different language or to a set of custom text labels you previously saved, use the Language drop-down to choose a set of labels. 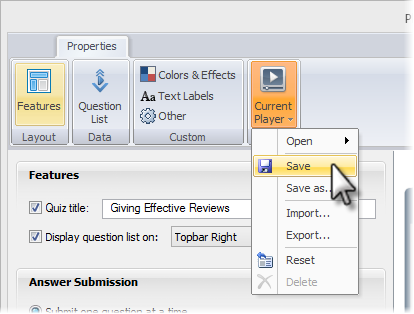 Quizmaker provides several language options in the Built In section of the list; the Customsection of the list contains text labels you've created and saved yourself.